The Midwest is bursting with fall colors! 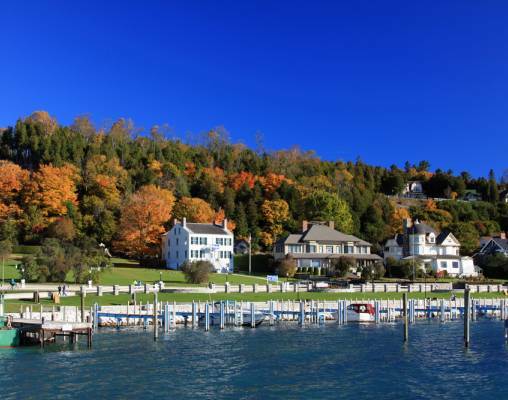 This brilliant 9-day tour shows off the best of Michigan's autumn colors including a visit to one of its most treasured locations, beautiful Mackinac Island. 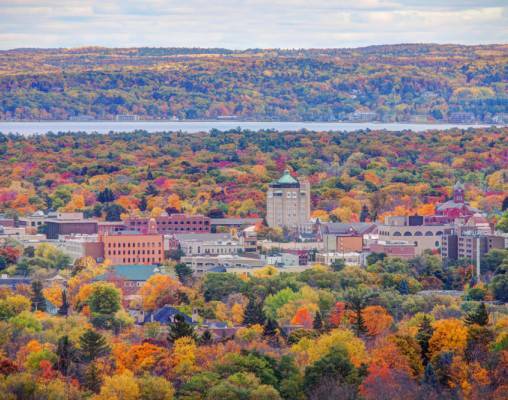 The Midwest is bursting with fall colors! 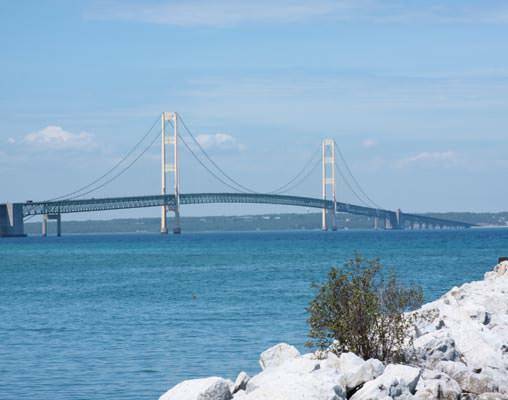 This brilliant 9-day tour shows off the best of Michigan's autumn colors including a visit to one of its most treasured locations, beautiful Mackinac Island. 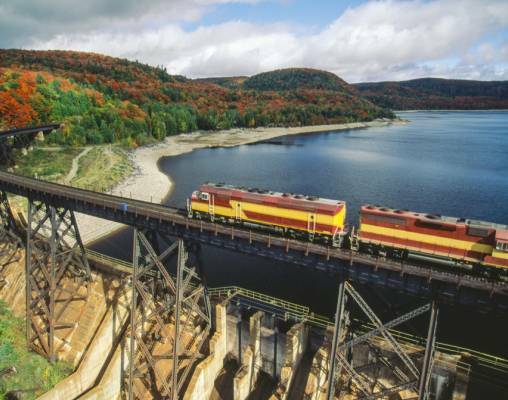 A special highlight of this trip is a scenic rail journey aboard the Agawa Canyon Autumn Foliage Train across the border in Canada. 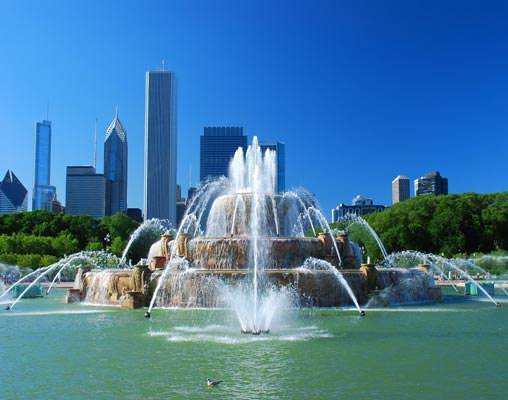 Chicago is America’s third largest city and boasts a friendly, Midwest atmosphere. For those arriving early, your hotel is close to the Lake Michigan waterfront. Visit one of Chicago’s great museums or stroll along the “Magnificent Mile.” Your Tour Manager is available in the lobby at 6:00 p.m. to assist with check-in and can offer suggestions for dining this evening. Overnight Hilton Palmer House. 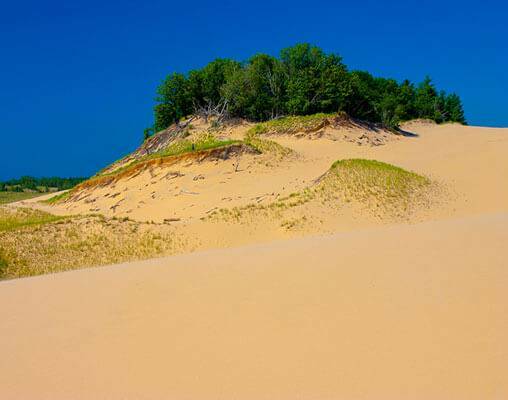 Hotels include Chicago's Hilton Palmer House, Traverse Country Inn, Sault Ste. Marie Holiday Inn Express, The Grand Hotel, and Dearborn DoubleTree Hotel. 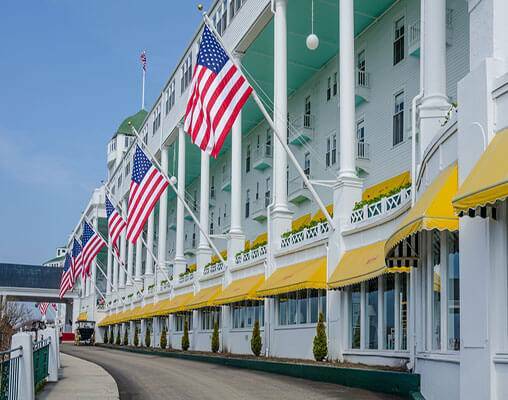 Click here to view testimonials for Mackinac Island & The Grand Hotel. I love Mackinac Island and will return someday! Enter your details below if you would like to be notified when 2021 dates and prices are available for Mackinac Island & The Grand Hotel. *Prices are per person, based on double occupancy and include tax. Prices are subject to change without notice, and all reservations are based upon availability.